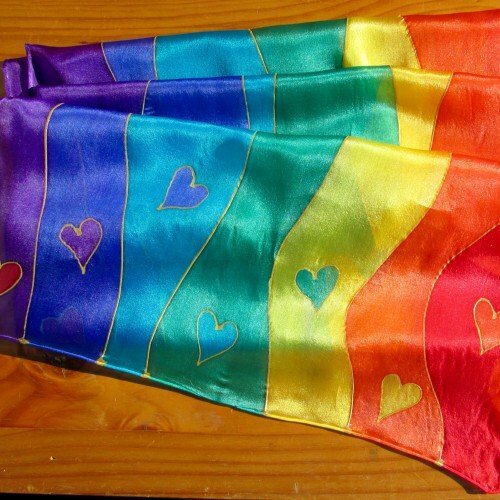 Chakra Silk Scarf Seven Colours - blocks seven main chakra colours. 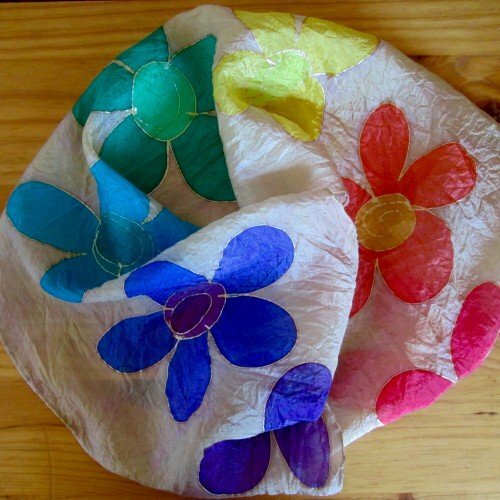 Chakra silk scarf seven colours is made with a fine, pure chiffon silk. 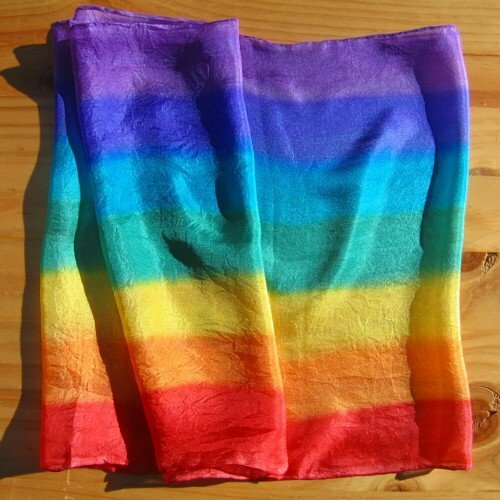 Each scarf is printed with the seven colours corresponding with each of the seven main chakras, in order. While you can enjoy wearing your “chakra silk scarf seven colours”, you can also use it in many other ways. 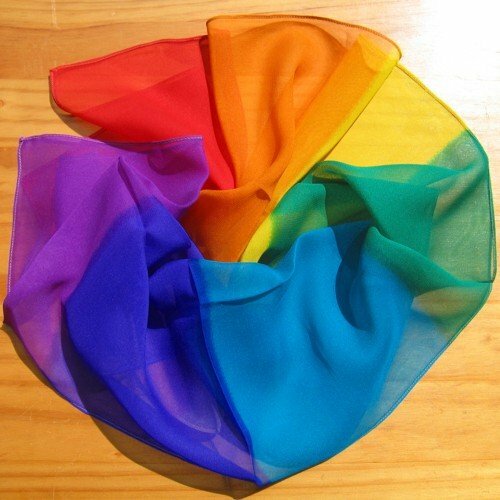 Above all, my clients use their “chakra silk scarf seven colours” in chakra healing, meditation, colour work, crystal healing, singing bowl and other holistic therapies. Similarly, clients use their chakra silk scarf in hot stone therapy and other beauty treatments. Therefore, you will find many ways to incorporate this versatile scarf in to your treatments. Lay over (or under) your client or on your own body and the blocks of colours correspond with each of the seven chakra areas. 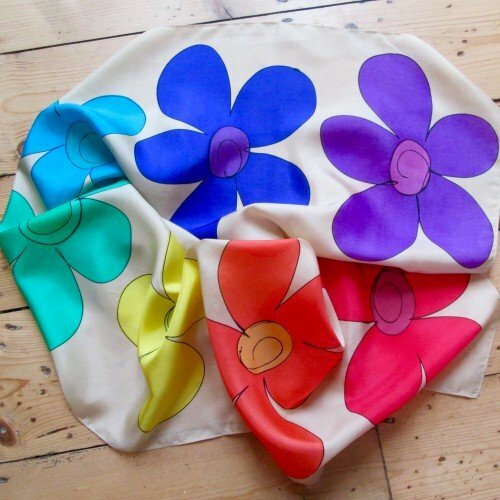 While I produce many forms of chakra silk scarf, this remains one of my best selling silk scarves. Lovely scarf! Totally recommend this! Lovely scarf, great quality. Definitely recommend.